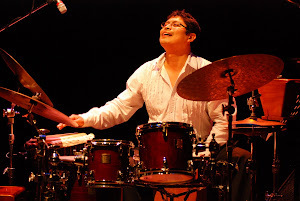 * Hugo Alcazar (Peru): Afro-Peruvian percussion and jazz. Nominated for a Grammy Awards 2010. * Gerardo Salazar (Chile): Percussion Symphony. Soloist Symphony Orchestra of Chile. 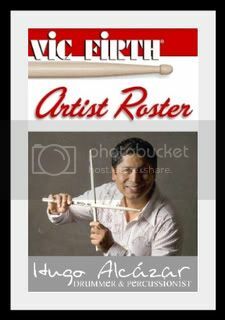 * Fernando Rocha (Brazil): Contemporary Percussion, electro. Percussion Professor Federal University of Minas Gerais. * Mullieris (Sgo. Del Estero, Argentina): vocal and percussion quartet. * Hannibal Raspo Borzone and Esteban (Cordoba, Argentina): marimba and violin duo. Cordoba Symphony Orchestra Soloists. * Mark Headbutt (Bs As, Argentina): Marimba, vibraphone, composition. Symphonic Band of Buenos Aires city. * Guarnieri Augusto Perez (La Plata, Argentina): Education / Percussion - Author of the Method "Africa in the classroom"
* Carlo Seminara (Rosario, Argentina) Afro-Latin percussion and electronics. CieloRazzo percussionist. * Sebastian Mamet (Rosario, Argentina): Drums, jazz, latin. Professor School of Music of Rosario. Mutasapo drummer. * Jack Horst (Rosario, Argentina): composition. UNR School of Music Professor and Faculty Provincial de Rosario. * Participatory Spaces: Workshops, lectures, seminars, master classes. * Areas of exposure: clinical, concerts, lectures, exhibitions of instruments. * Releases: works commissioned especially for the Festival. * The possibility of giving the public access to the wide variety of music made with percussion. * The importance of working with the body in the art of percussion. Techniques which give the drummer for healthy development tools and fluid activity. We hope you enjoy the most of this great experience!